I think that organizing has become my hobby. Truth be told, I find certain items irresistible when out “a-thriftin’. And one of them is vintage suitcases. I found this white Samsonite beauty at the Goodwill for …are you ready?…$3.99! Luckily for me, they don’t consider the “60”s vintage, or this would have ended up in their online store. Score! 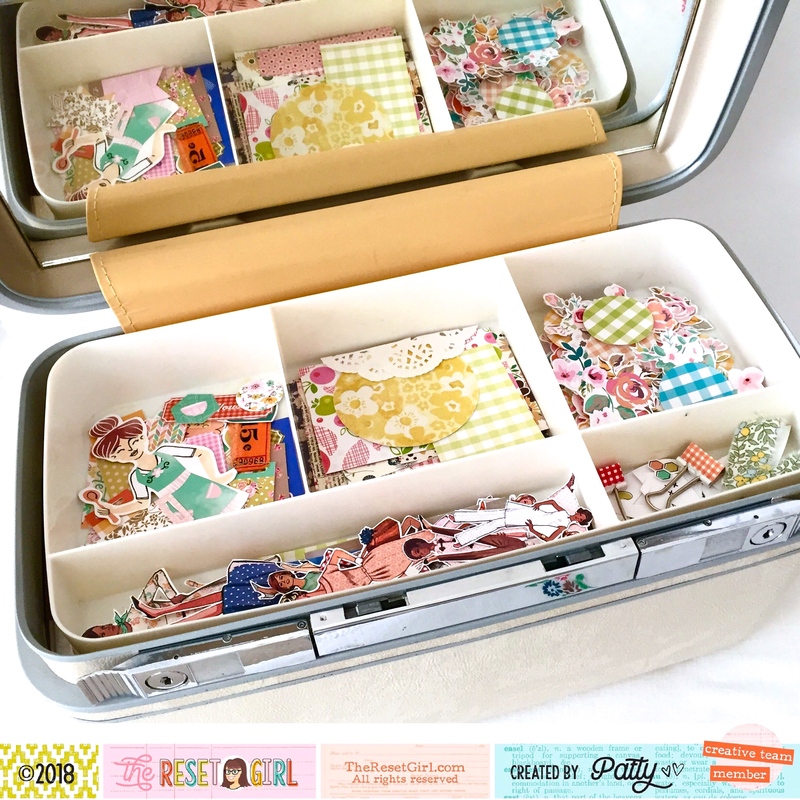 I think it was Cori’s “Paper Punch Buffet” idea that gave me the inspiration that this would be the ideal organizer for each month’s collection. 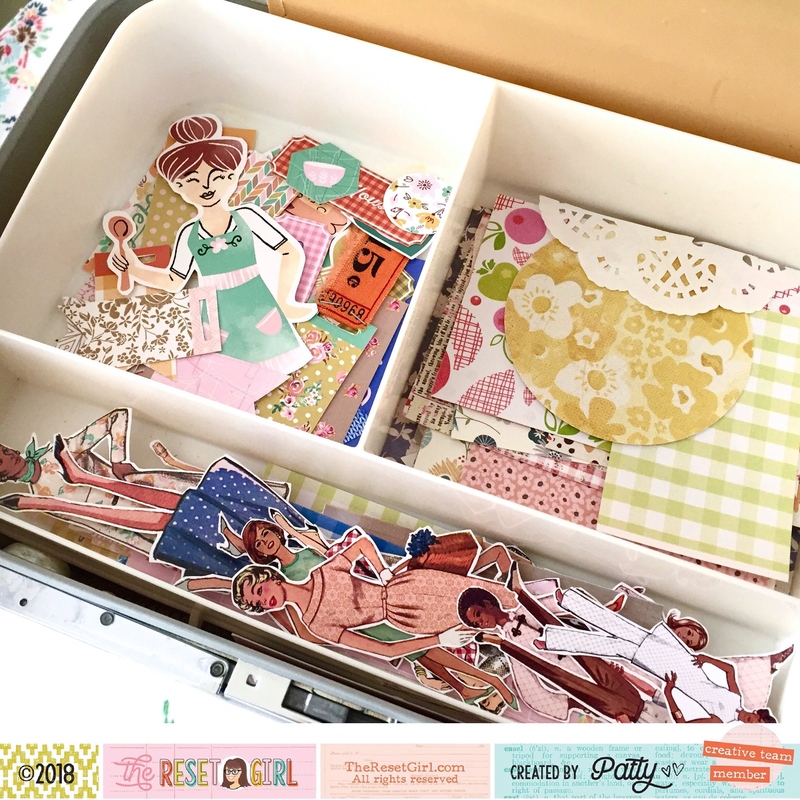 This little tray is the perfect organizer for all my fussy cuts and punchables. All my girls fit beautifully in that front area, Love! This month’s Collection is titled “Homemade”, and I absolutely LOVE it! The colors are perfect, a few fall colors excellently combined with pastels. A wonderful rest for the eye with all the earthy tones surrounding us this season! 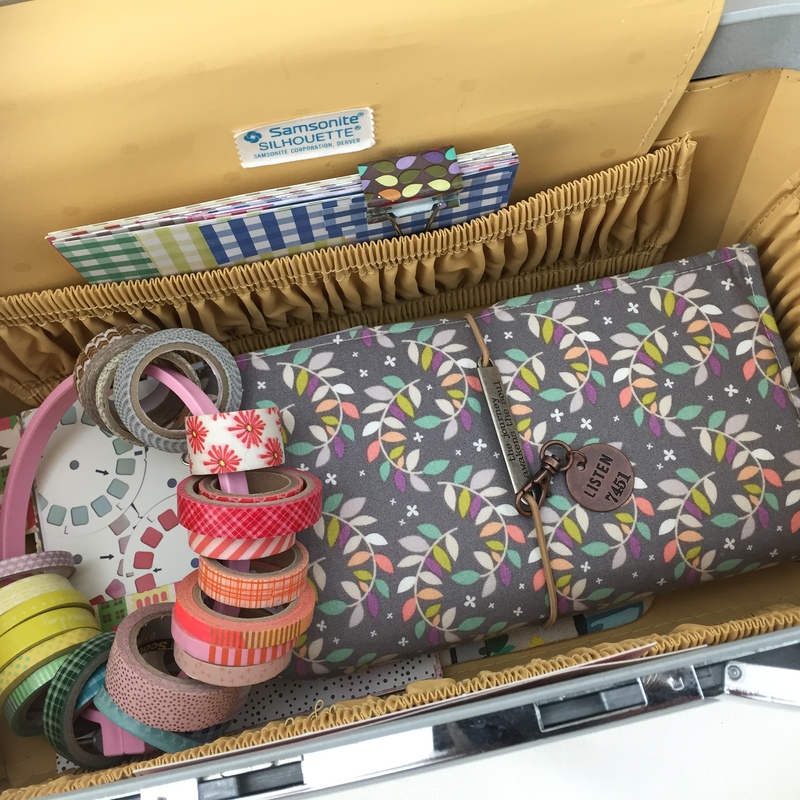 A few of the items I keep in there at all times: paper pieces, washi tape, sticker paper, Reset Girl tissue paper (when Cori sent her orders in boxes), and my sweet little TRG Camp Reset pouch with a selection of doilies. Everything fits in there just beautifully! I’m careful with what I put in the pockets because the elastic is a bit old. There’s even enough room for journals! 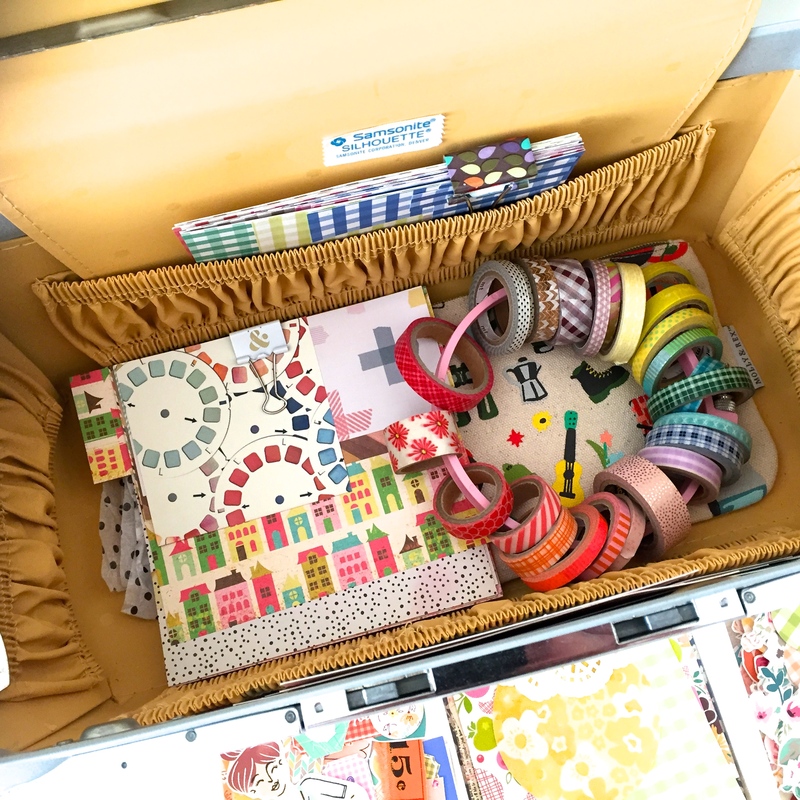 Since my husband and I have purchased a little vacation/retirement home, we travel back and forth quite a bit, so I am definitely getting a lot of use from my vintage train cases. 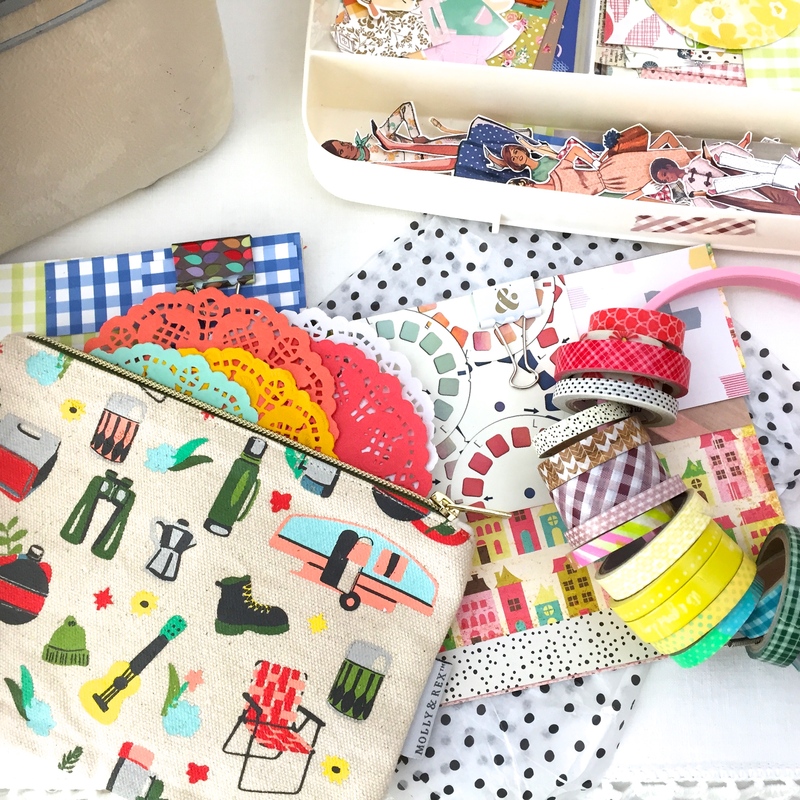 I hope you’ve enjoyed this little peek into this month’s collection! Visit TheResetGirl.com for the latest collection!